If you follow my Instagram than you’ve seen that the last few weeks I’ve been pretty consumed with making vegan tacos. It isn’t the first time I’ve dedicated my life to tacos and, I can tell you, it won’t be the last. 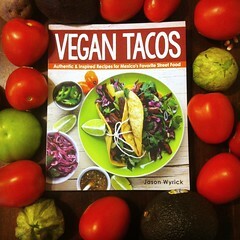 I’ve had so much fun and I’ve learned a ton from Jason’s wonderful book Vegan Tacos. I love his infectious enthusiasm for tacos. In fact, when I read the way that he described eating a fresh tortilla for the first time I kind of fell in love with him. He’s a kindred spirit. The book is filled with pictures of him making tacos for his friends and family in his lovely backyard kitchen and you can really see that he wants to spread the gospel that tacos are life, or the best parts anyway. 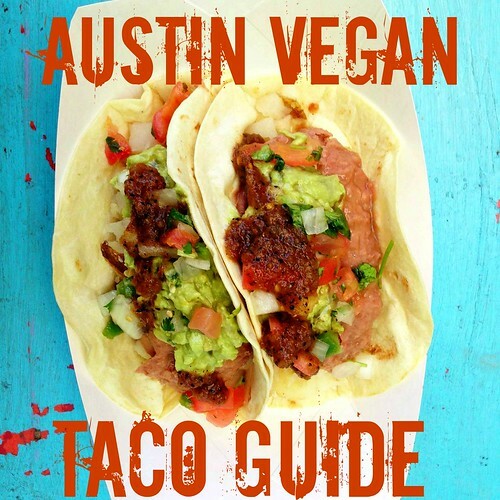 Vegan Tacos starts with a history of the tacos, including Jason’s own family’s brushes with Mexican culinary legends. He then goes into all the different special ingredients so you can tell your cascabel chile from a habenero and then talks about tools that you might invest in like a comal or a molcajete. Won’t someone out there please get me a molcajete? I have to make my guacamole with a potato masher like some sort of philistine! It then gets into the most important chapter, the tortilla. I’ve long been a tortilla snob at restaurants but for my own taco making my tortilla press was stored on top of the refrigerator and neglected to very special occasion status. I was perfectly happy to get tortillas, still warm mind you, from Fiesta or Central Market. But, with Jason’s encouragement, I’ve gotten into the habit of pressing out tortillas every day. I even broke my old aluminum tortilla press and sprung for the cast iron version. It’s true what he says, the cast iron one presses out much thinner tortillas. Now that it’s habit and I’ve gotten good I can make quite a few in no time. Making your own tortillas makes all the difference in the world and is the only way you will ever get to the perfect taco. 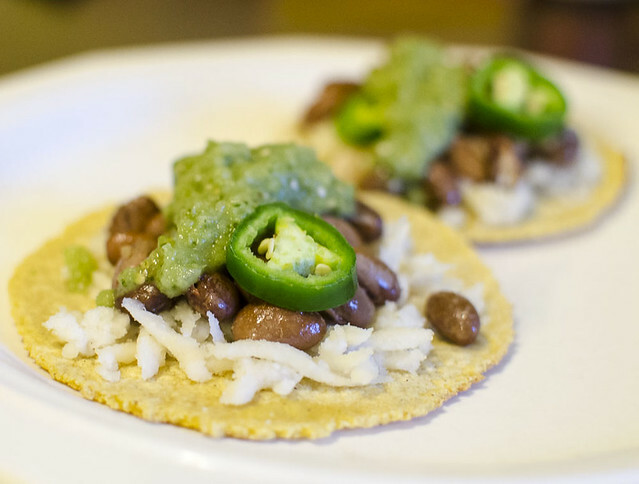 The next chapter has other essential skills and recipes to elevate your taco making. Jason uses mojo de ajo in most of his recipes and though I had never heard of it before I knew I’d have to make up a batch to fully enjoy the book and I’m glad I did. This garlic and citrus infused oil has made all the difference in sauteing. I love it and it will become a kitchen staple. 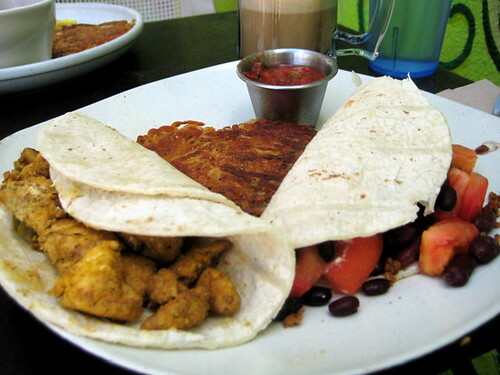 There are also recipes for pressed seitan, achiote paste, chorizo, and techniques like pan roasting vegetables. 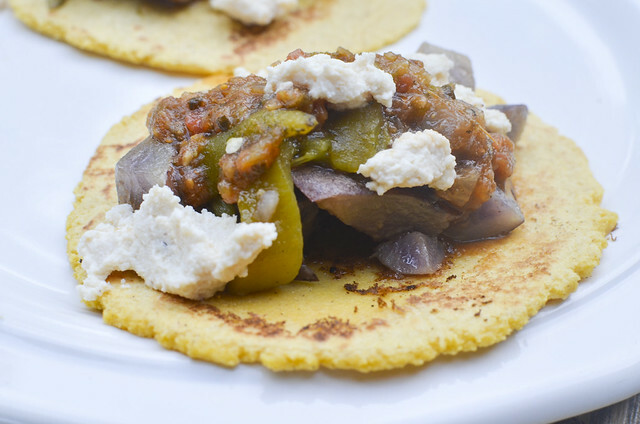 Not in this chapter but towards the end of the book with the condiments are some recipes for vegan cheese, a fermented Mexican Crema, Queso Fresco from homemade tofu, and Queso Oaxaca which is a melting cheese based on a Miyoko recipe. Having all of these base recipes and techniques has definitely elevated my taco making and having all these components on hand makes dinner tacos a snap to prepare after work. After that we get into the main part of the book, the taco filling recipes starting with Tacos de Asador or “Tacos with fillings charred over an open flame.” I sadly don’t have a grill anymore so I couldn’t fully utilize these but Jason does give directions for cooking them on the stove top or in the oven. You can see my Vampire Tacos above didn’t quite curl up like bat wings without the heat of the grill. 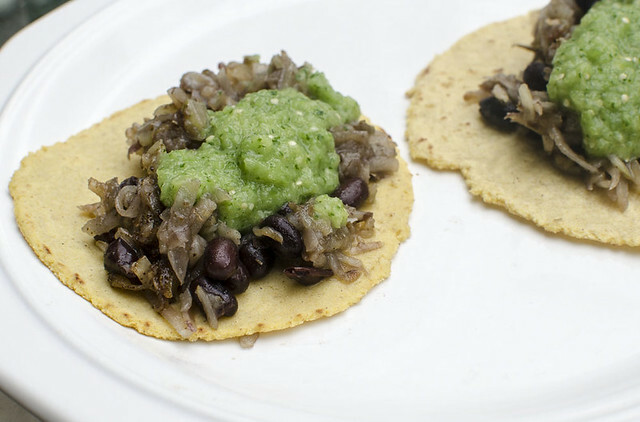 I really want to try the Tacos with Smoked Mushrooms, Jalapeño, and Lime from this chapter and the Yucatecan-Style Barbecue so maybe I will just bite the bullet and get a grill. The next chapter is Tacos de Guisados “Tacos made with stewed fillings” and these tacos made good use of vegetables in recipes like Tacos with Sweet Potato & Chard or Mole Tacos with Seared Zucchini, Wilted Chard, and Pepitas Chard but there are also “meat” heavy recipes like Tacos with Vegan Sausage, Seitan, and Chorizo or the Tacos with Hot Dogs in Tomato Salsa. 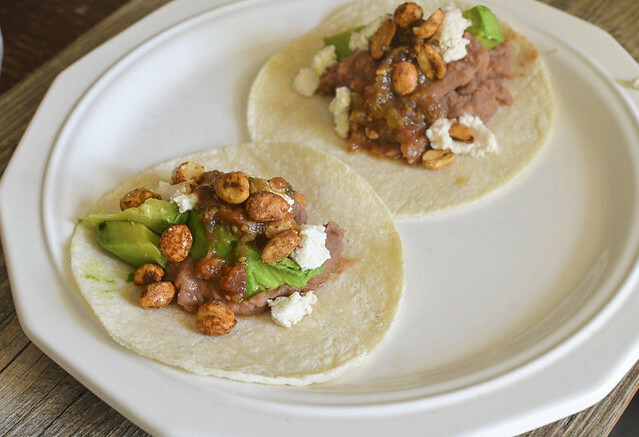 I made the Tacos with Pintos Borrachos, Poblano Strips, and Queso Fresco except I was out of peppers and I added avocado and green chile peanuts and they were so so easy and delicious. Jason always gives tips to make short cuts in recipes or tips to make them more healthy too. Next is Tacos de Comal “Tacos made with sautéed fillings.” which are probably the tacos that most non-Mexicans are most familiar with except with vegan spins like Baja-Style Tacos with Lobster Mushrooms and Ten-Minute Seitan Carnitas it also has traditionally vegan tacos made from Cactus (nopales) or Potato and Peppers (rajas) which is what I usually get a Mexican taco stands around Austin that use lard in the beans. I’ve never gotten one with purple potatoes though! It’s pictured up top. Tonight I am going to make Tacos with Huitlacoche and Fresh Corn from this chapter. Jason gives plenty of tips throughout all the sections like how to remove cactus needles or make sure you wash your huitlacoche from its canning liquid if it isn’t fresh. This kind of stuff is so helpful for a newbie and so often left out of cookbooks. Tacos Dorados “Rolled tacos, fried golden and crisp.” which are more like flautas or taquitos are in the next chapter and I do want to try both the Tacos Dorados with Plantains, Black Beans, and Roasted Garlic and the Tacos Dorados with Squash Blossoms and Potato. The former is one of my favorite non-fried tacos so I can’t imagine how good it will be in dorado form! The latter will have to wait for next spring when squash blossoms are in season. Or maybe I could plant some right now…I could probably harvest the blossoms before the winter. 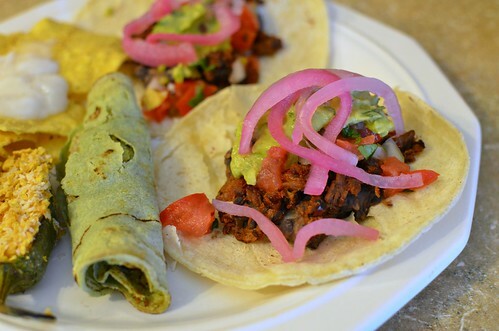 Then next is Los Otros Tacos “Other tacos in a class by themselves” which include the vegan mainstay they Guacamole taco and a recipe for Michoacan-Style Carnitas which I plan to make this weekend. There is a discussion for the latter of whether seitan or jackfruit make for better vegan carnitas so you can decide which is best for you. Chapter 10 is Tacos de Canasta “Classic breakfast ‘basket’ tacos, sauced and steamed.” which I had never heard of but sounds super interesting. Basically you dip tortillas in a sauce, stuff them up with the different fillings, fold them, add them into a cooler or crockpot and then layer with caramelized onions and then parchment paper and keep alternating layers until you are all loaded up and can “sweat” the tacos. Whoa! I have to try these the next time I have overnight guests cause what a brunch would those make! Next Chapter is the kind of breakfast tacos I’m used to, Tacos Mañaneros “Breakfast tacos from both sides of the border.” I tried the Chile Rellano with Hatch Peppers above. They are stuffed with a cream made from toasted pepitas, roasted tomatillos, and garlic but the recipe doesn’t call for the deep fry that I am accustomed too. Somehow they reminded me of the tacos I first had as a young’un at my beloved Jolly Tamale. Next time I’ll deep-fry them though using his tempura batter as suggested. I also tried the Hash Brown and Black Bean Tacos with Tomatillo Avocado Salsa which were easy peasy since my salsa was already made. 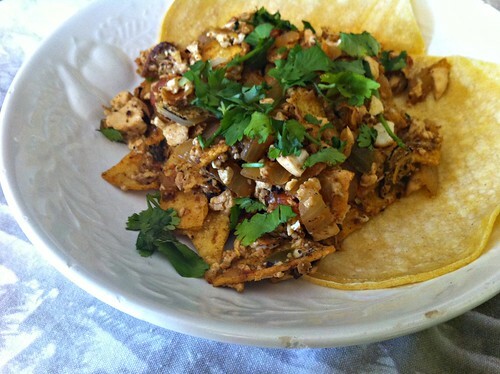 He does have a recipes for tofu scramble too in the Breakfast Tacos with Poblano Strips, Mojo Scramble, and Pinto Beans which sounds delicious and I will surely try that soon. The next couple of chapters are dessert tacos, think Spicy Cinnamon Tacos with Salted Coconut Cajeta Apples and Agave Crema and then Fusion Tacos but I haven’t tried any from either chapter yet. I don’t think I’m ready for Kimchee tacos YET! The next section is “Toppings, Sides, and Drinks” which starts with traditional toppings like Taquería-Style Carrots Escabeche and Pickled Red Onions, moves into a whole chapter of salsas, hot sauces, and guacamoles like Toasted Pepita Sun-Dried Tomato Guacamole, and then continues with rice and bean recipes and other sides like Fruit with Chile, Lime, and Salt. And, then ends with a chapter on drinks that includes tons of aqua frescas, a discussion on pairing beer, tequilla, and mezcal, a recipe for a Grilled Lime Margarita with Mesquite Smoked Salt and even ends with a port. I am going to make the Watermelon Cactus Fruit Agua Fresca with Tequila Añejo Shots as soon as I can. So you can see it’s very comprehensive. I think people who are willing to dive in and take on all the projects are going to get a lot out of this book. I also think that people who haven’t ever had a good taco could really get into this although it might seem a bit overwhelming. I think if they take advantage of the shortcuts and see the substitutions it should be pretty easy to follow though. Jason’s friendly approach and love of tacos really comes across so that should help quite a bit. This book seems terrific for folks on specialty diets as well. It would be easy to omit all the soy out of the recipes, Jason even gives directions for using peanut milk in the homemade tofu for the queso fresco recipe. 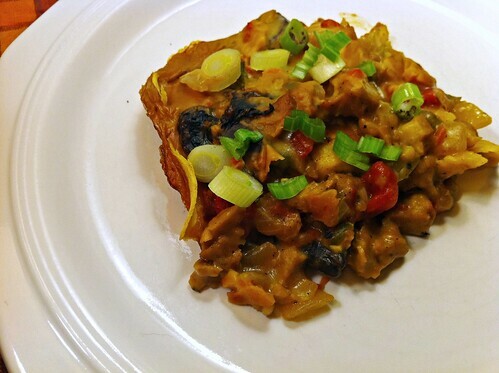 Omitting gluten should be easy too, all you have to do is use beans for seitan or any of the other ingredients he always recommends like eggplant, mushrooms or sweet potatoes depending on the recipe. This goes for people following a whole foods based diet or an E2 diet as well. Since Jason started his road to veganism eating a health food diet and co-authored the book 21 Day Weightloss Kickstart with Neal Barnard, MD he has a lot of experience in that area. The only people who might struggle with this book are those unfortunate to not have a well stocked Mexican Market in town. 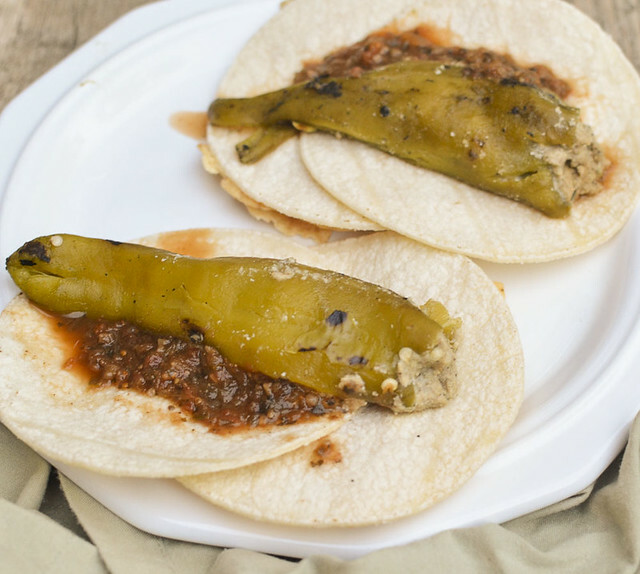 Although there are plenty of substitutions offered I fear it might be really frustrating to not be able to use basic authentic ingredients like poblanos and masa. So have I sold you yet? Are you worried I’m a shill? 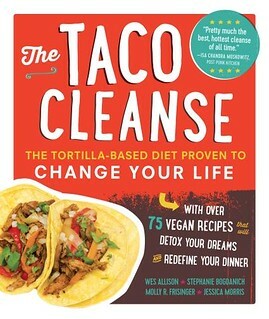 I’m not although they did give me a free review copy I am just an extreme lover of tacos! 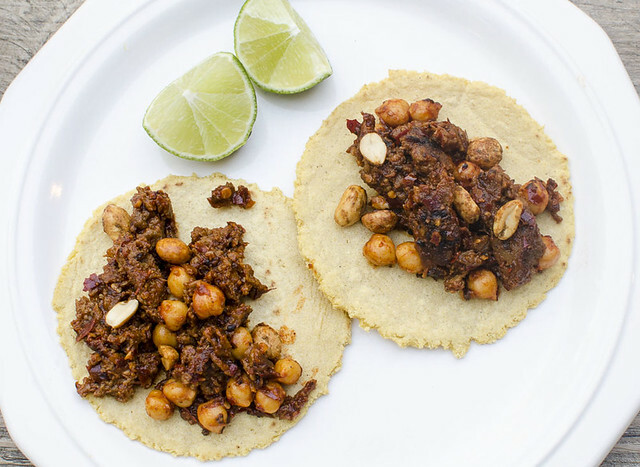 If you aren’t so sure yet here is the recipe for Hominy and Seitan Tacos in Roasted Garlic Cascabel Sauce which I made last night. 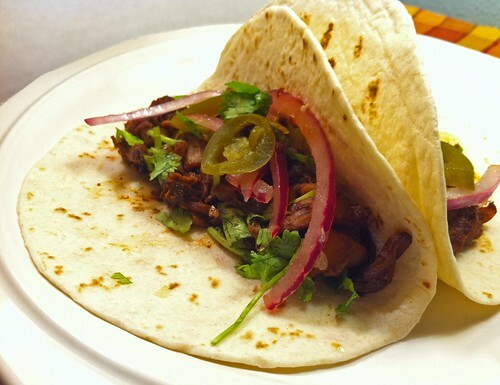 I love using cascabel chiles in this taco for their pure red chile flavor. They are a nice looking chile, so I always put a few on the plate for presentation. The contrasting flavor of the hominy (aka pozole), with the chewier seitan, all work together to make a very rustic-flavored taco. This is one of my favorite taco creations. Make them low-fat by simmering the seitan and hominy in the sauce instead of sautéing in oil. If you don’t want to use seitan, substitute potatoes, zucchini, chayote, mushrooms, or any vegetables that will provide a substantial texture. Just sauté the vegetables at a medium heat long enough to brown them before adding the sauce. 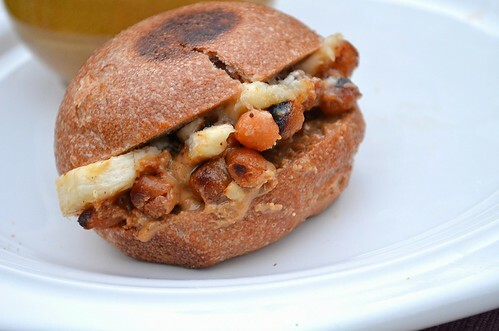 You can even use pinto beans (but don’t sauté them). 1. Bring a small pot of water to a simmer, add the cascabels, and simmer until soft, about 10 minutes. Reserve 1/2 cup of the simmering liquid and remove the stems from the chiles. In a blender or food processor, puree the chiles, roasted garlic, reserved simmering liquid, oregano, and salt. Set aside. 2. Heat the oil in a sauté pan over medium heat. Add the seitan and sauté until lightly browned, about5 minutes. Add the reserved sauce and hominy and simmer until the sauce thickens, about 5 minutes. 3. Warm the tortillas. Fill them with the seitan hominy mixture and finish them off with a rough salted chile powder to taste and a sprinkle of chopped roasted salted peanuts. If you got to the end of what is probably the longest review I’ve ever written than surely you are interested in winning a copy of Vegan Tacos please have a US address and a valid email that you check and comment below with an answer to this question: An extraterrestrial lands in your backyard and says, “take me to your taco”, what do you do? 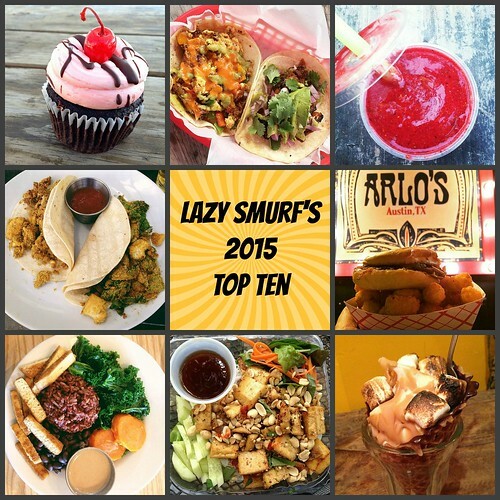 This entry was posted in books, Cooking and tagged book review, cookbook, giveaway, Jason Wyrick, recipe, tacos, Vegan Tacos, VeganMoFo on September 11, 2014 by lazysmurf. 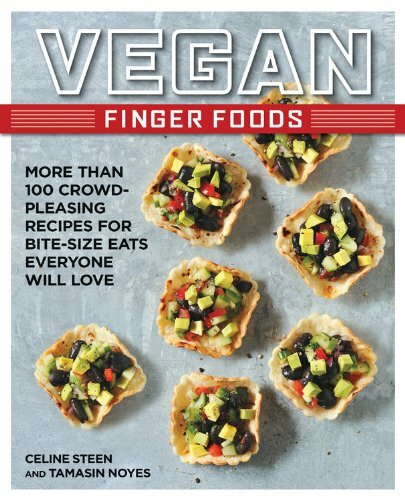 Recently I was contacted by Tamasin Noyes and Celine Steen about receiving a review copy of their new book Vegan Finger Foods and doing a giveaway as well. I excitedly agreed. 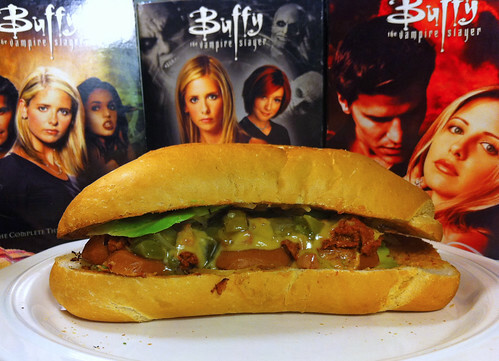 I love the recipes I’ve tried from their earlier Vegan Sandwiches Save the Day and Tami’s American Vegan Kitchen. With a bakesale and baby shower coming up I knew that I’d get a lot of opportunities to try out recipes. Upon cracking the book open the first thing I noticed was all the lovely photos take by Celine and the very modern ideas. I had a hard time deciding what I would try because so many different recipes were appealing. I think the recipes in this book would appeal to all the different kinds of vegan diets out there. There are recipes that feature whole foods, are soy free, soy heavy, gluten free, bread based, raw, baked, complicated, easy, cupcake heavy, sugar free, comfort food, or chocolate based. The first chapter is a short primer on finger foods and any types of special ingredients they use. Then it goes into “Veggie-Centric Finger Feasts” with recipes like “Kale Cucumber Cups” and “Snacking Chickpeas” these were all vegetable heavy and on the easier side. Next was “Stuffed and Dipped” with recipes like “Sauerkraut Stuffed Seitan Rounds” and “Baked Buffalo Tofu Bites” which I think most excited me. Then “Bread-Based Bites with recipes like “Pull Apart Pesto Bread” and “Spinach Swirls with Quicky Marinara” and finally “Sweet Little Somethings which includes recipes like “Creamsicle Ice Lollies” and “Goji Berry Cacao Bites”. The first recipe I tried was the Tahini Caramel Popcorn. The first batch came together like magic. The second batch went awry when I dropped my fork into the caramel and then tried to retrieve it with my fingers. I learned that you NEVER put your fingers in hot caramel, it sticks right to your skin and burns burns burns. So, while I was dealing with that, I wasn’t stirring and the caramel cooked too long. Also, I think because of the humidity here I had trouble with the caramel really solidifying because the popcorn never became rock hard until I tried putting it in the fridge. 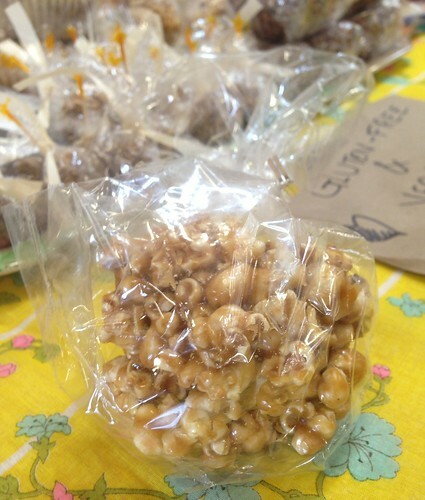 So, I ended up selling them as Tahini Caramel Popcorn Balls at the bakesale. They were a hit! The tahini really added an interesting element. My friends that tried them loved them and they are GF so a perfect bakesale treat. 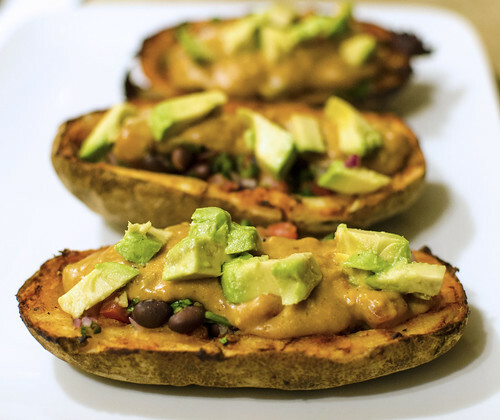 The one recipe that kept calling my name every time I flipped through the book was the Nacho Potato Skins. I found this recipe a bit overly complicated for me, like instead of calling for a small chopped onion they call for something like a half a cup of finely chopped onion. I know most folks prefer this kind of precision but for me, in something like a black bean salad, I just want it to be super simple. But then, I also thought the step of coating the potatoes with adobo and then crisping them again seemed like an unnecessary step but I am so glad I didn’t skip it. Just that little bit of flavor and crispness made the recipe for me. We used big russet potatoes and had one each for dinner. Dan couldn’t believe I ate mine with my hands but I told him it was a Vegan Finger Food! They were totally delicious and hit that junk food note even though they were, dare I say, healthy nacho potato skins using fresh vegetables, beans, and homemade vegan queso. They were very fresh tasting and had lots of flavor, I loved them. Next, I had to decide which recipes to use for a taco themed baby shower. 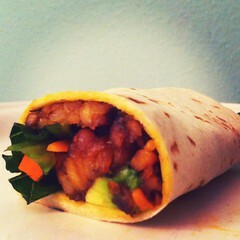 I wanted things I could mostly make ahead of time but that would go with the overall menu. 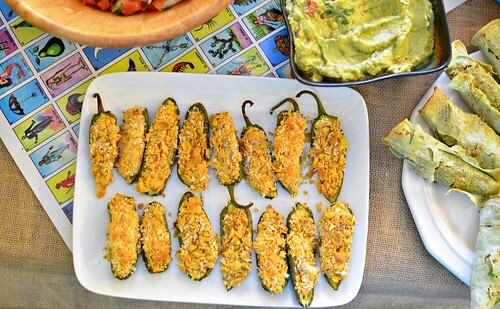 I knew that my guest of honor is way into jalapeno poppers so these were definitely in from the start. Actually, this recipe probably turned out to be my favorite from the book and I would definitely make it again. I even used their tip of using gloves when dealing with the jalapenos (whenever I’m doing a cookbook review I try to actually follow all the directions). Somehow, I had never used gloves before. As an incredibly lazy person I always thought it was easier to be super careful when de-seeding hot peppers than to find some gloves. Boy, was I wrong. With gloves you can go a thousand times faster. And you are probably a lot less likely to touch your eyes (or other sensitive areas) with gloves on accidentally. 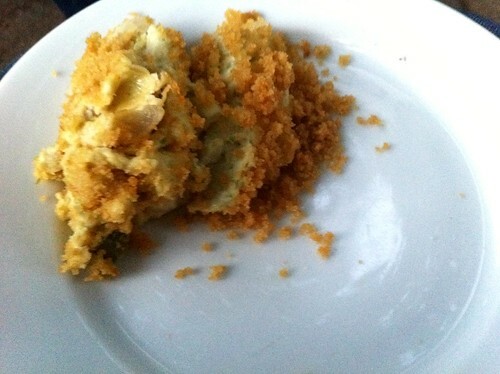 For this recipe you hollow out the jalapenos, make a cashew cheese, plop a tablespoon of it in each jalapeno half, and then invert it onto a plate of panko and cornflakes, and bake them in the oven. They had all the crunchy cheesiness of traditional poppers without having to deep fry or use cheese. And they were super easy. A total win. Finally, I decided to also make the Baked Lenteja Taquitos instead of the Pulled Jackfruit Mini Tacos because I figured that growing baby would need some extra protein. These seemed super easy; you cook up french lentils and then mix them with some mashed potatoes and spices, roll the filling in tortillas, and then bake them in the oven. When shopping at Fiesta I came across their homemade corn tortillas that were nopale flavored so I kind of had to try them. They did not work well at all in this recipe, however. I think fresh flour tortillas or even store-bought corn tortillas would have held up much better in the rolling process. They tasted good though! And they were crowd-pleasers as well. There are still many recipes I want to try! The Brewpub Cauliflower Dip, Tiny Tomato Pies, and the Portobello BLTs are all going to be coming out of my kitchen sooner rather than later. 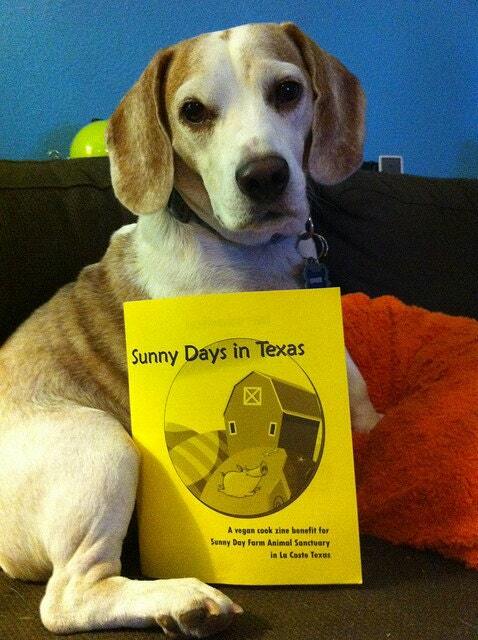 And if you are worried about getting the book because you don’t entertain, never fear! Many of the recipes can easily be scaled up for dinner (like those BLTs) or used as side dishes like the Green Beans Jalfrezi. It also seems like a GREAT book for coming up with things to bring to a potluck, and God knows, if you’re vegan you have to go to potlucks all the time. 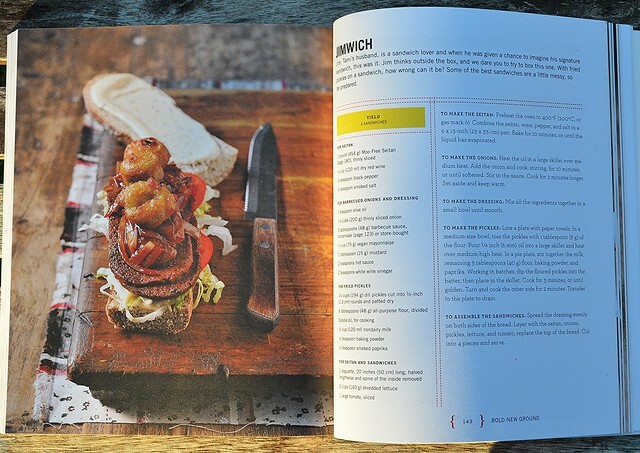 They back section of the book has sample menus like “Hot Summer Nights” and “Extra Easy Entertaining”. You can check them all out on the Amazon Preivew. I really do think this book has something for everyone. 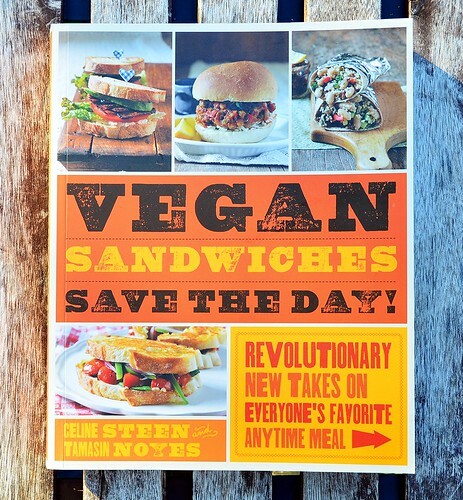 I think some vegan millionaire should buy a ton of copies and send this book to every bar because bars here never have interesting vegan options. If you would like to win a copy please comment below and answer this question: If someone was throwing a party for you, what would you want on the menu? Make sure you add your email when you leave the comment in the form so that I can contact you if you are the winner! 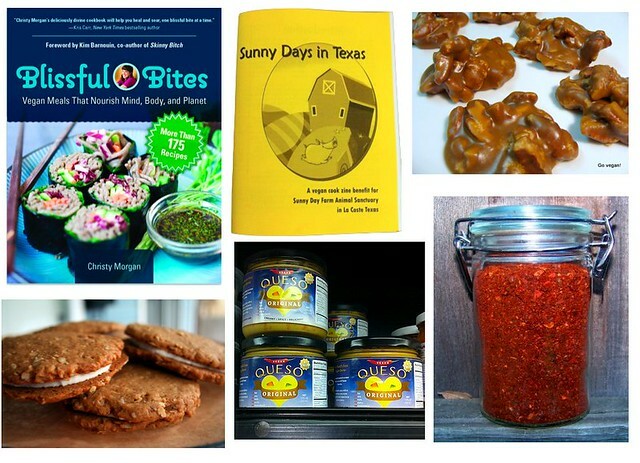 This entry was posted in books, Cooking and tagged cookbook, entertaining, giveaway, potlucks, review, vegan, Vegan Finger Foods, vegetarian on May 29, 2014 by lazysmurf. 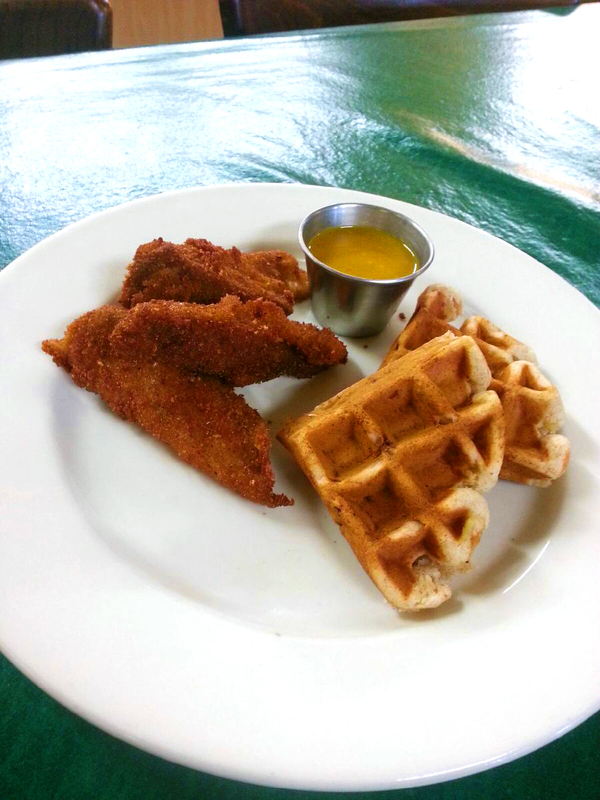 GIVEAWAY- Try Mr. Natural’s new Brunch menu for free! 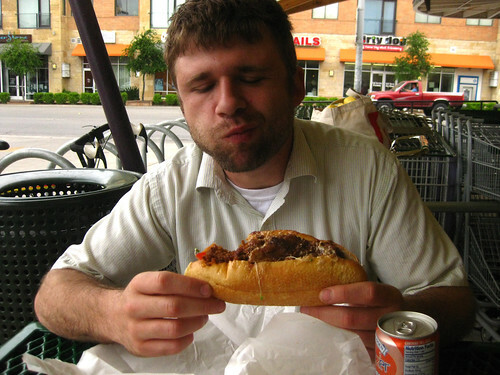 Mr. Natural contacted me the other day to help get the word out about their new menu items. I’ve always been a fan of Mr. Natural and I love Mexican Breakfast so I was happy to help, especially when they said they would throw in two free brunches for y’all! The menu for this Sunday at the Caesar Chavez location is all vegan and it looks super friendly for gluten free folks as well. 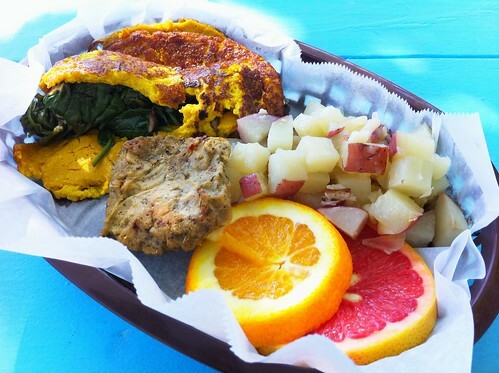 I already love their tofu migas but they will also have tofu scramble, rice with their fantastic refried beans, a variety of salads and, oh yeah, vegan fried chicken and waffles! They’ll also have a tamale casserole, toasted cauliflower curried quinoa with tofu , tofu and veggie quiche, spinach and daiya cheese filled puffs, and traditional biscuits and gravy! 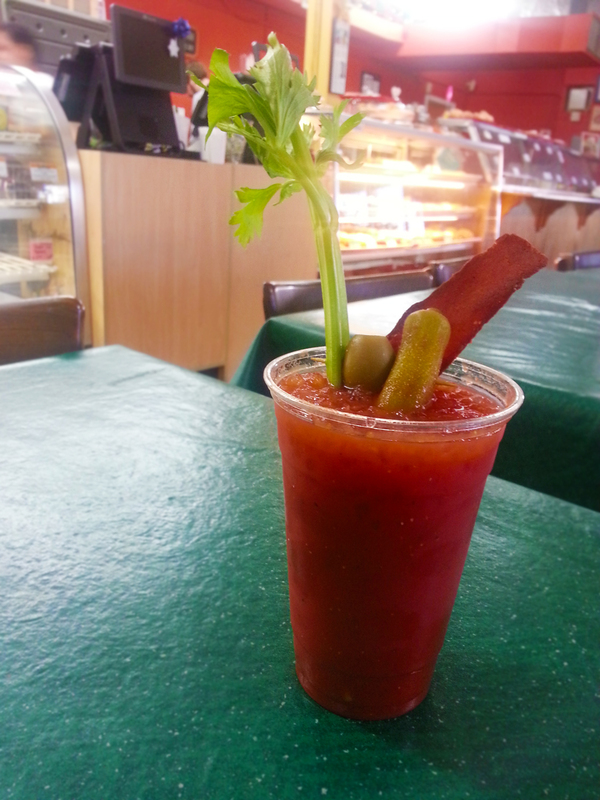 marble chocolate bread, kombucha mimosas or even a vegan bloody mary. 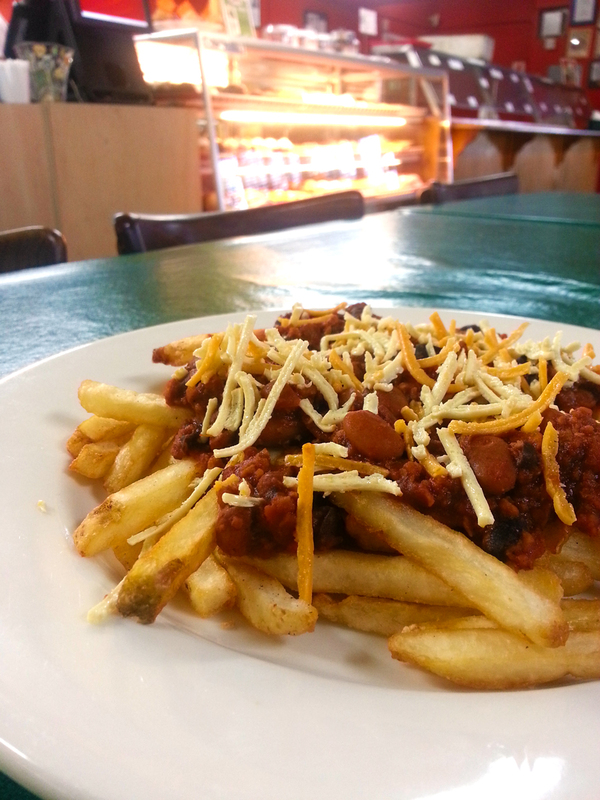 They have also added a lot of American style food to the regular menu like cheeseburgers, deluxe hot dogs, and chili cheese fries. 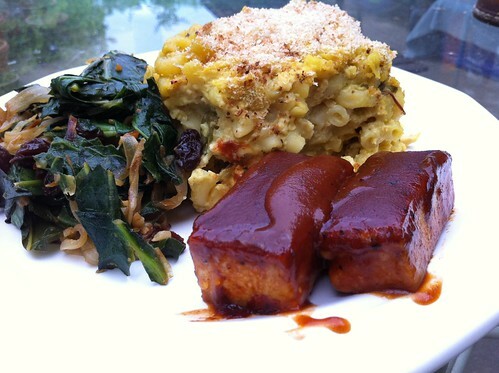 Since it is a vegetarian place make sure that you specify vegan when ordering off the regular menu and they will take care of you. Since this weekend is their first vegan brunch buffet they’d also love your feedback, if you feel weird about it, you can let me know on this post what you liked and I’ll get back with them. 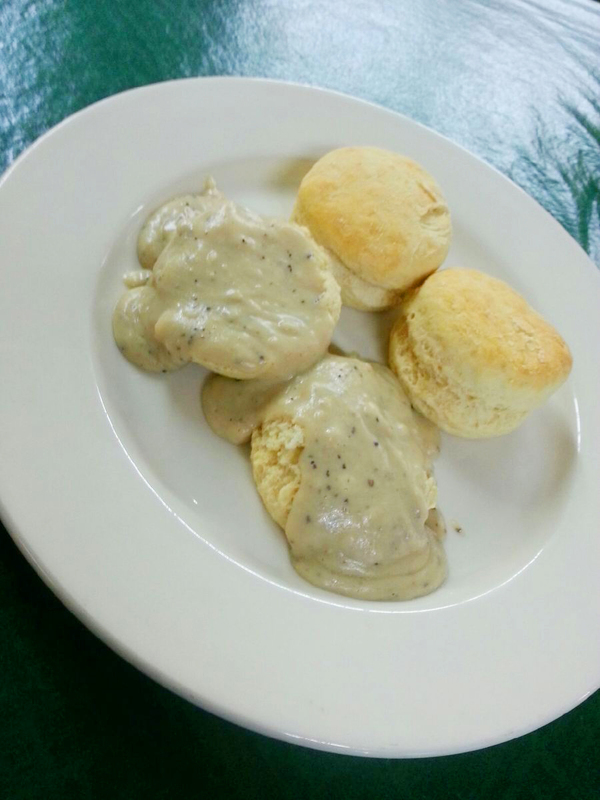 TO WIN A FREE BRUNCH just comment below, you can tell me what your favorite thing is to eat for brunch, or what you are most excited about at Mr. Natural. Make sure you leave your name and a real email in the form so I can let you know if you won! The giveaway is now closed (Congrats Lorena & Cady!) but stay tuned, there will be another one soon! 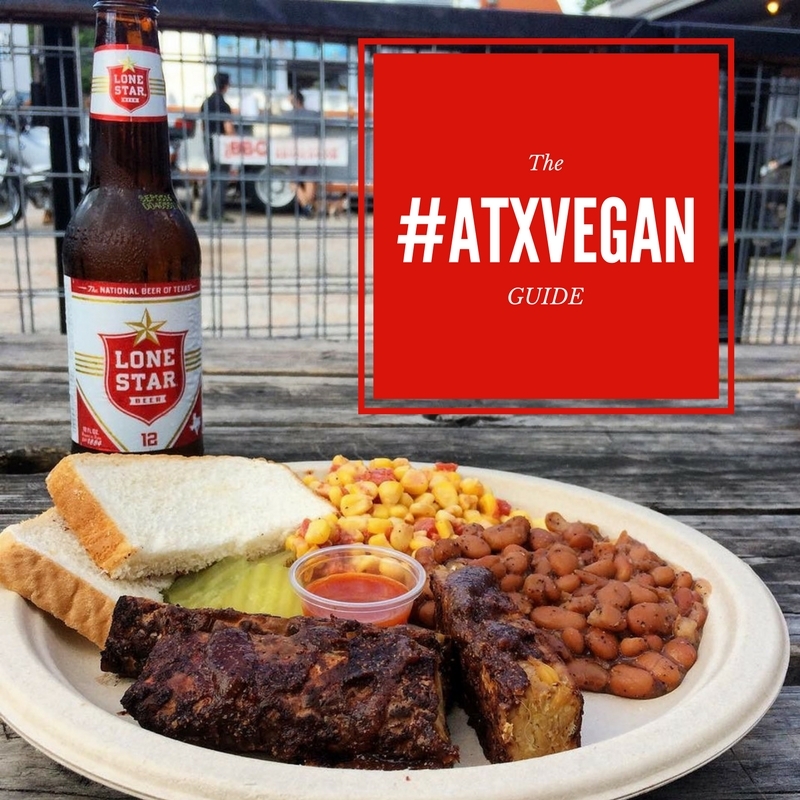 This entry was posted in Austin, Events and tagged #atxvegan, Austin, brunch, giveaway, mr. natural, vegan on January 28, 2014 by lazysmurf. 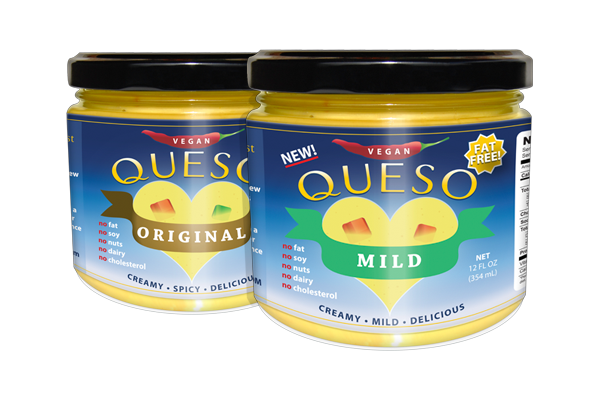 GIVEAWAY: Queso for National Nacho Day!!! 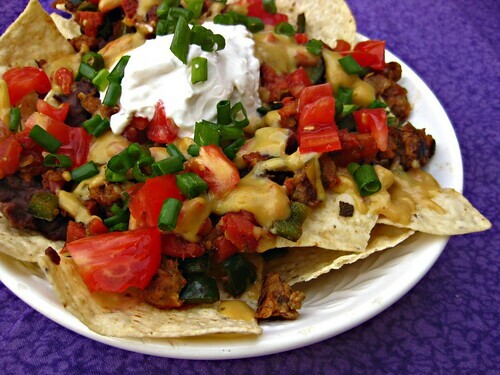 Today is November 6th which means it’s election day AND National Nacho Day. It makes so much sense that our most essential civic duty would be shared with one of our most gloriously lazy comfort foods. I love nachos and I love voting so today is a great day for me. Nachos were definitely one of the things I missed the most after going vegan. They were my go-to treat at the movie theater, middle school lunches, and lazy nights at home. They remind me of my taco bell filled youth. It was sad going to restaurants and watching my friends enjoy their chips and queso. Then, one glorious day Chris & Crystal Tate started selling their magic jars of queso and my life changed forever. No longer would I be deprived of such a critical food group! It’s been so fun watching them go from selling homemade queso at Bouldin Creek to having jars around the world! Just the other day my friend in Maine told me she picked some up at the Whole Foods there. She’s not even vegan but she’s hooked. She said, “will you ask them why it’s so good”. The craziest part is that, it’s kind of good for you. Nutritional yeast is packed with vitamins unlike, say, dairy cheese and it only has like 20 calories a serving. That’s only 240 calories if you accidentally eat the whole jar. That’s not very much folks. Like a jar of olives the jar of queso has become a standby in my fridge. And it can be in your fridge too! To celebrate National Nacho Day and win a jar of queso AND a jar of the new mild queso for all your non-Texan friends all you have to do is comment below and tell me what’s the most ridiculous thing you have eaten for fourthmeal? (In case you are so vegan and you don’t know, Taco Bell has a marketing campaign to inspire Americans to add an extra meal after dinner, presumably after “kickin’ it”.) Enter by 12:00 AM on November 7th. 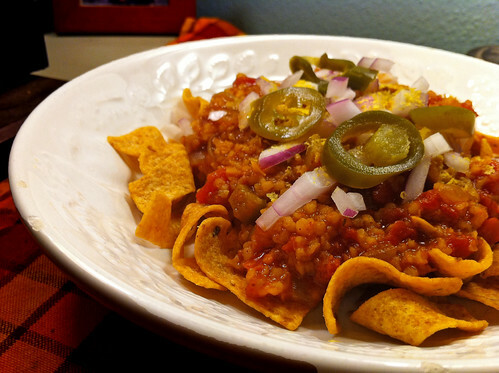 Since it’s National Nacho Day you must have a US address. Also, they are giving away an entire case of vegan queso for the most outrageous plate of nachos submitted to them via IG, FB, Twitter and email. The Winner will be announced on the 7th on ItsJustNachoDay.com – launching on the 6th. 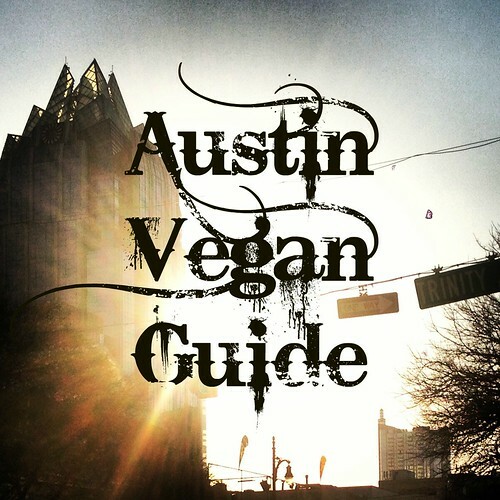 This entry was posted in Austin and tagged food for lovers, giveaway, vegan, vegan queso on November 6, 2012 by lazysmurf. Over the weekend I had the pleasure of dinner at the Hyden Park Supper Club and a fantastic omelet brunch at Counter Culture. While I was enjoying delicious food and lazy days my friend Wes was running a marathon to support Sunny Day Farms where he and his team raised over twenty five hundred dollars. I can’t believe it, congratulations Wes! Amazingly, the last two people to enter for the Team Sunny Day giveaway were the people the random number generator decided should win the prize package so congratulations Rebecca and Katie! Thanks to all who entered and feel free to still donate. 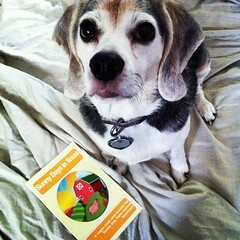 This entry was posted in Austin and tagged brunch, giveaway, omelet on November 14, 2011 by lazysmurf.